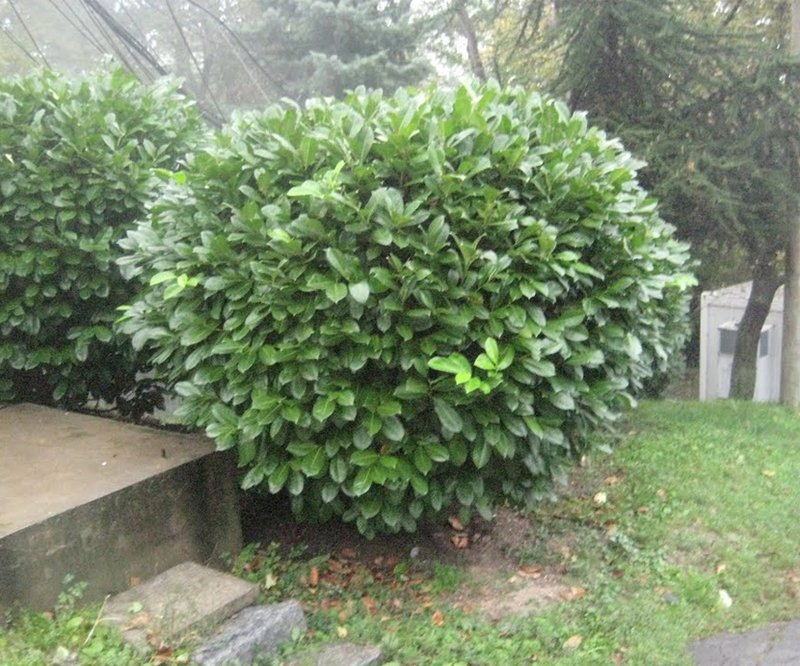 This is a small evergreen shrub or tree with smooth branches. Leaves with short petioles, oval-oblong, serrate, acute, and smooth. Flowers shorter than the leaves, calyx inferior, corolla has five white petals; stamens about twenty; and fruit a round, black, smooth drupe.